The West Phoenix rig drilled the appraisal well. 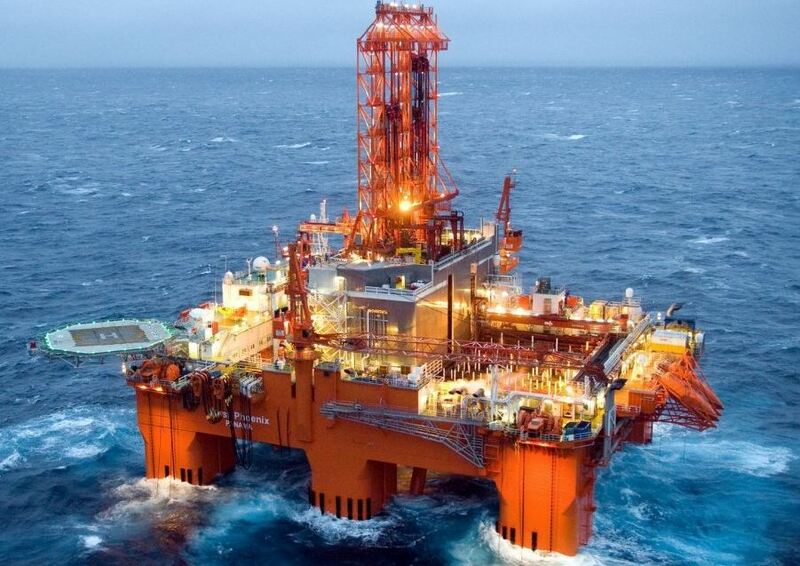 Norwegian energy giant Equinor has kicked off a UK North Sea exploration campaign. Two exploration wells – one Equinor-operated and one partner-operated – are already underway. Three more Equinor operated wells will be drilled later in the year. In January, drilling started at the Bigfoot exploration prospect located near the Mariner field. Mariner is an Equinor-operated field development due to start production later this year. The well is drilled by the Seadrill-operated drilling rig West Phoenix. The same rig will later drill the Pip prospect in the relatively underexplored East Shetland Platform. Both Bigfoot and Pip were awarded in the 29th licencing round in 2017 with Equinor as operator and BP as partner. “These are two interesting licences, with Bigfoot in an area of the North Sea that’s relatively mature and Pip testing the underexplored margins of the basin,” Ms Morris said. “Both opportunities have been matured through the acquisition of new seismic data and will provide more answers about the remaining potential on the UKCS. The exploration campaign also includes an appraisal of the Verbier discovery which was announced in October 2017. The results will help refine the current estimated volumes which range between 25 and 130 million barrels of oil equivalent. Later in the year Equinor will use the West Phoenix drilling rig to drill the Lifjellet prospect in licence P2378, with partner Shell. The licence was awarded as part of the 30th UK licensing round in October 2018, indicating an efficient award-to-spud process for the partnership. Equinor also recently acquired an 8% interest in an ENI operated licence (P1620) north west of the Culzean field. Drilling operations on the Rowallan prospect in the P1620 licence started in December. Deirdre Michie, chief executive Oil and Gas UK said: “Equinor’s exploration campaign demonstrates the significant value the UK Continental Shelf offers investors. “This is a vote of confidence in the basin, crucial to successfully realising its full potential outlined in Vision 2035. “Equinor’s campaign builds on the momentum generated by CNOOC’s recent Glengorm discovery and Total’s Glendronach find.